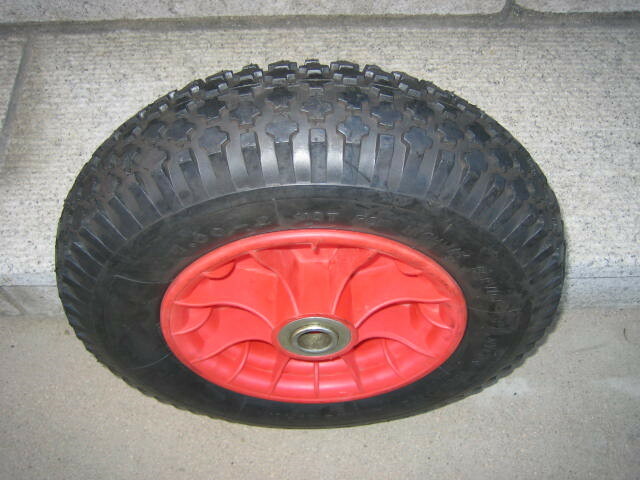 16” x 4.80/4.00 – 8, 2 ply pneumatic knobby tread tire with inner tube, plastic rim with ball bearings, Loading capacity: 250 Lbs. Net weight for each wheel: 3.2 kgs. Loading quantity: 3,200 pieces per 40' container.